This is Mrs. Crosby’s first year teaching with St. John School. Mrs. Crosby is the aide to Mrs. Dickson’s kindergarten class and the kindergarten religion teacher. The First Grade curriculum focuses on building foundations of faith, literacy and math. Students focus on learning skills and concepts that can be applied in their daily lives. Life-long learning is emphasized. Critical thinking is stressed as well as student cooperation. Students will complete the year with a basic understanding of Catholic teaching. They will be reading and writing with grade level proficiency. They will have knowledge of basic addition and subtraction facts. Deborah Daugherty is the First Grade teacher aide. She has an Associate’s Degree in Education. She has attended Flagler College and George Mason University. She has taught Pre-K here at St. John for 17 years and has been the First Grade Aide since 2010. Mrs. Daugherty also has an advanced certification in religious education. Judith Adamec is the Second Grade teacher. Mrs. Adamec holds a Bachelor of Science degree in Elementary Education Interdisciplinary Studies from Liberty University. She is the mother of eight children and has been married for 25 years. Four of her children currently attend school at St. John the Evangelist. Mrs. Adamec has home-schooled all grade levels K-8, but particularly enjoys the younger students and their joyful enthusiasm. Mrs. Conlan joined second grade in 2016 as the Instructional Assistant after substitute teaching in grades K-8 the previous year. Mrs. Conlan attended Sweet Briar College. She has spent many years working for a software company doing account and project management. She has received her Initial Provisional Catechist Certification through the Diocese of Arlington. Jill Evans is the third grade teacher. She has a B.S. Degree in Education and a minor in Child Day Care from James Madison University. She has experience teaching first through fifth grades and has spent time substituting at all grade levels from Kindergarten through 8th grade. Mrs. Evans began teaching at St. John School in 2011. Third graders learn to function more independently and deepen their Catholic faith in learning virtues through scripture, saints’ biographies and the Catechism of the Catholic Church. The curriculum fosters reading with fluency and focuses on comprehension. Writing skills are refined into paragraph composition using proper grammar and punctuation. Students solve addition, subtraction, multiplication, division problems and begin their study of geometry by calculating area, perimeter and volume. Students are engaged in hands-on science projects and experiments. Social Studies involves projects to familiarize them with the 50 United States, their capitals and American History. Mrs. Brueckl is originally from Buffalo, NY, and moved to Virginia in 2002. She holds a Bachelor of Science degree in Elementary Education from the State University of New York College at Buffalo. She is certified to teach Pre-K to 6th grade by the Commonwealth of Virginia, and over her 24-year career she has taught all of those grades at one time or another. Since 2014, Mrs. Brueckl has taught 4th grade at St. John the Evangelist School. The 4th grade curriculum involves many different subjects. For example, Math covers basic multiplication and division facts as well as addition and subtraction. Math games are used to reinforce the multiplication facts. Religion covers the Ten Commandments, Sacraments and Saints. It is in this grade that students help prepare readings and petitions and participate in the Mass. In Social Studies students develop a greater understanding of Virginia’s rich history from the culture of its native peoples and the founding of Jamestown to the present. Throughout her career, Mrs. Brueckl has used a variety of teaching methods in her classes to help prepare her students for success. She always engages with her students in a fun and loving manner to help bring out the best in them. The Fifth Grade teacher is Claudia Hunt. Mrs. Hunt received her education degree from Trinity University. She has taught upper elementary school for more than thirty-five years. She came to St. John School in 1995. The Fifth Grade year helps students develop the skills needed to transition from Elementary to Middle School. Encouragement and support are provided as they grow independent and self-reliant. Language Arts and Reading lesson plans stress reading comprehension and real life connections. Students demonstrate critical analysis of literary elements and creative responses to literature. The Math curriculum maximizes an understanding of various strategies to solve word problems as well as an emphasis on computation skills of fractions and decimals. Mr. Stohlman received a Bachelor of Arts Degree from Marymount University in Theology and Religious Studies (double major). Mr. Stohlman started teaching at St. John School in 2010. Social Studies – Students will obtain an understanding of the major issues, events and figures in World History from Prehistory through 1500 AD ( 6th Grade), U.S. History from Pre-Columbian times through the end of Reconstruction until 1877 (7th Grade), and U.S. History from 1877 to the present (8th Grade). The relevance of past historical events to the modern world is emphasized throughout the curriculum. The Administration is planning to augment these topics with the “History Alive” hands-on curriculum. Religion – In 6th Grade, students examine major church teachings about our Lord, the Sacraments, and how His saving plan is revealed to man in the Scripture, particularly the Old Testament. 7th Grade students deepen their knowledge of the person, message and mission of Jesus Christ, and how He gives us new life in the Church and Sacraments. Preparation for the Sacrament of Confirmation and the inherent responsibility of a confirmed Catholic cover the second semester. In 8th Grade, Students focus on the hierarchy, Magisterium, and the role of the Catholic Church, while studying major people and events over the 2,000 year history of Catholicism. 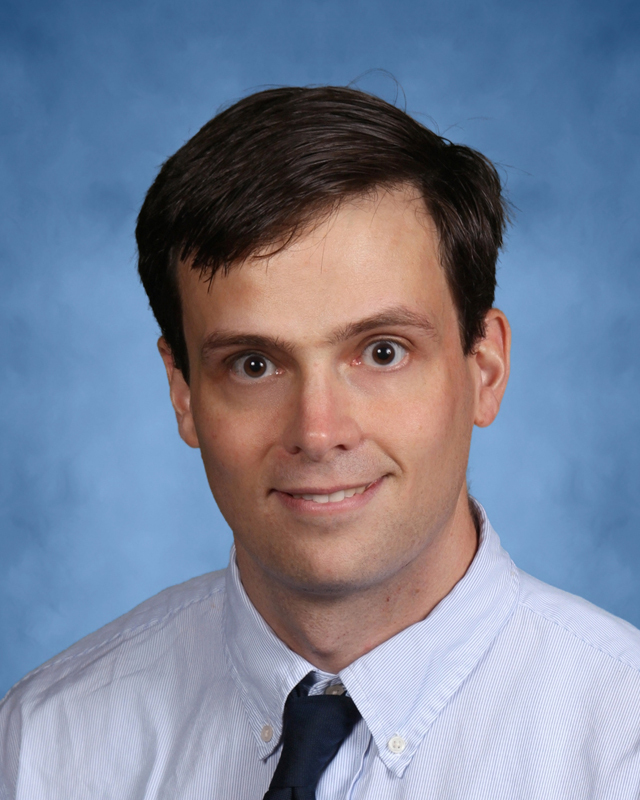 Thomas MacQueeney is our middle school English teacher, which includes Language Arts and Reading/Literature. Mr. MacQueeney graduated from Bishop O’Connell, received his B.A. in English at Mary Washington University, and his M.A. in Education at Oklahoma University in Norman, OK. He has been an educator for over thirty years. He has taught Advanced Placement Literature and Composition for twenty years as well as U.S. History. He coached varsity boys and girls soccer for many years. Mr. MacQueeney uses a variety of instructional methods to promote literacy. The Language Arts classes focus on the mechanics and techniques involved in various types of writing, such as descriptive, narrative, expository, and persuasive. The Literature classes actively engage in silent and oral reading of stories, poems, plays, and non-fiction pieces. Students learn to analyze the author’s use of language to convey theme and purpose. Mr. MacQueeney’s classes engage in many group projects and research projects often utilizing technology. Students engage in formal debates, write original poems, stories, plays, and create a short movie. Mr. MacQueeney strives to engage all students and create a love of creative writing and reading. Mr. MacQueeney started teaching at St. John School in 2014. 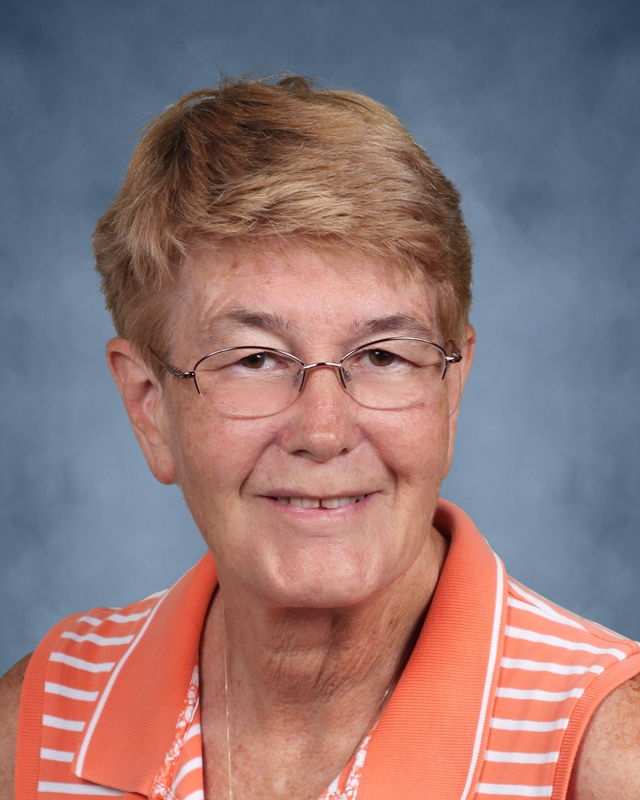 LuAnn Fine has been a member of the St. John School community since 1992. After serving two years as the Kindergarten assistant, Mrs. Fine became our math and science middle school teacher. She currently teaches 8th grade Algebra and middle school science while facilitating K-5 science labs. Prior to her education career, Mrs. Fine worked many years in the science research field. 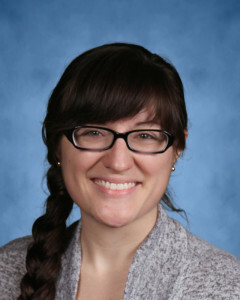 Mrs. Fine holds a Bachelor of Science in Biology and Chemistry from Montclair State University and numerous graduate credits in education, mathematics, and science from Rutgers University and the University of Virginia. Mrs. Fine believes her role as a teacher is to ignite an enthusiasm for learning, promote creative and critical thinking, and provide a strong foundation for life-long learning. Gene Belardi is a Math Resource Teacher. Previously, Mr. Belardi has taught Algebra and Middle School Math. 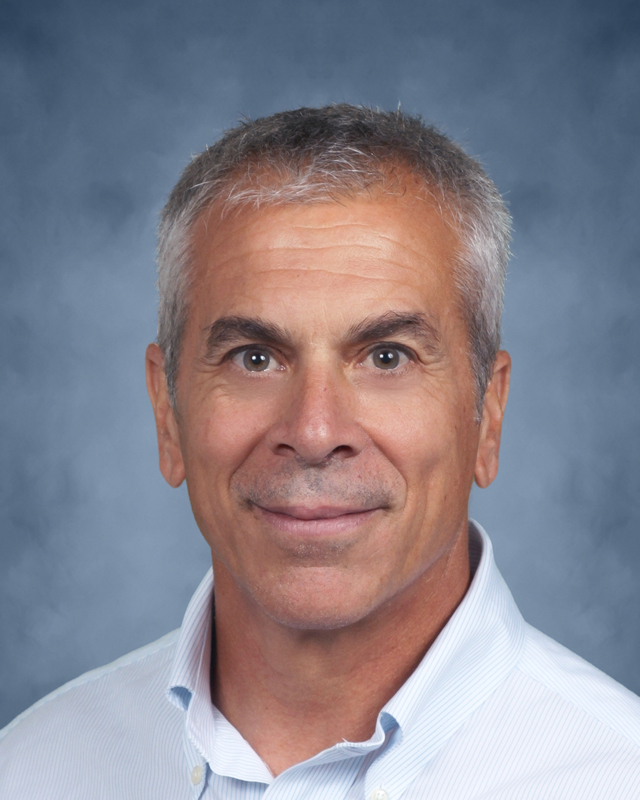 Since 1999 at St. John School, he has instructed students in a variety of subjects, including Middle School Social Studies, Literature and Language Arts, as well as Physical Education. He holds a Masters of Education degree from Marymount University and is certified by the Commonwealth of Virginia to teach all subjects from preschool through eighth grade. He has also received a Juris Doctorate degree from William and Mary Law School and has a Bachelor of Arts in history from Rutgers University. Mr. Belardi uses a variety of instructional methods to teach math, including manipulatives, cooperative group work, board work, technology and drill work. His overall philosophy is to identify and fulfill the individual needs of each student using positive reinforcement techniques to provide an atmosphere whereby the student will achieve success and build self confidence. Chris Galvin has been with St. John’s School for 7 years. She has taught Language Arts and Literature and currently teaches Middle School Honor’s Math and Honor’s Literature. She homeschooled all four of her children from PreK to college, who are now post graduates from Virginia Tech, College of William and Mary, and George Mason University. 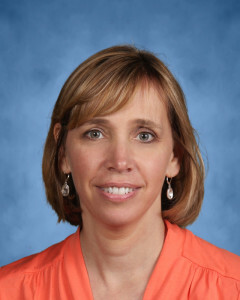 Mrs. Galvin has a Bachelor of Arts Degree in Communications from Marymount University and a Master of Science in Education degree from Franciscan University, Steubenville. She helped to establish the Honor’s program at St. John’s School and is also the Student Council Coordinator. Mrs. Galvin is also the founder and producer of the TORCH Drama Club at St. John’s parish which is in its 17th year. Her family has been parishioners of St. John’s church for almost 28 years. 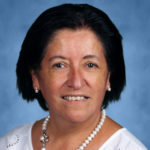 Teresa Paccassi grew up in Midlothian, Viriginia, where she attended Midlothian High School before graduating from George Mason University with an English degree. At GMU, she served as the Student Campus Minister for the Catholic Campus Ministry. After college she worked as a middle school literature and reading teacher at St. Catherine Laboure in Wheaton, MD. Through the Archdiocese of Washington’s Teacher’s Service Corps Teresa earned her Master degree in Education at Trinity University. 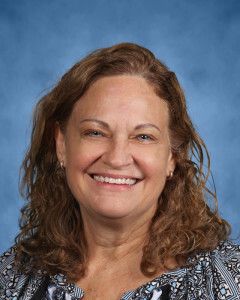 A former Youth Minister, Religion teacher, and pastor’s secretary, Mrs. Paccassi is a Master Catechist and loves the opportunity to unite her two favorite subjects, literature and religion in her 7th grade honor’s class. Teresa has been married for 19 years to the love of her life, Dave and is the mother of seven amazing kids, 3 of whom she has taught in her class. 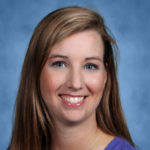 Mrs. Hammelman holds a Bachelor of Arts in Psychology from George Mason University (three years at Gonzaga University) and a Masters of Education from Longwood University. Her love of the St. John School Community goes back more than thirty-five years. Mrs. Hammelman uses hands-on and traditional teaching methods to encompass the entire learning atmosphere in her classroom. She recognizes the individuality of each student and strives to bring out their unique creative natures. She is an “outside the box” kind of teacher. Mrs. Cutting, our Spanish teacher, is a native of Lima Peru, where she earned a Bachelor of Science degree in Educational Psychology, as well as a Master of Science degree in Clinical Psychology. After working at pre-schools and elementary schools during her college years, she founded her own school Los Luceritos. After meeting her future husband in Peru, Elena immigrated to the US, and was married in St. John the Evangelist Church. Over the years Elena has held teaching and staff jobs in private and public schools in Texas and Virginia, including working in Special Education. For the last five years she has been a Spanish teacher in the Diocese of Arlington. In 2011, Elena completed work on a Master’s Degree in Spanish Language and Culture from the University of Salamanca in Spain. This degree involved not only in-class study but extensive traveling to cultural and religious sites in Spain and Portugal. She and her husband have two children. Ms. Galvin joined St. John in 2014. The Pre-School and Elementary lessons promote hands-on and explorative music. Students learn the fundamentals of music through speech, singing, movement, playing instruments, and creating their own music. Middle School students take the fundamentals and progress to composition, music theory, career possibilities, history and how music can play a role in their faith and prayer lives. In addition to general music classes, students have the opportunity to participate in Band and Orchestra as extra-curricular activities. Mrs. Karhoff is the Technology Coordinator/Computer Teacher. This is her first year teaching at St. John. Prior to joining St. John’s, Lauren was a Web Developer with over 18 years of technical experience. She holds a B. S. in Interdisciplinary Studies (IT, Marketing and Project Management) and an A. A. in Information Systems. Technology will be used as a tool for learning and developing critical thinking skills. Students learn to use personal computers in a computer lab setting with focus on five main areas: Technology systems (Use It); Digital citizenship (Protect It); Research and information management (Find and Organize It); Learning, collaboration and problem solving (Solve It); Communication and creativity/innovation (Create and Community It). 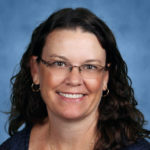 Ms. Kruck joined the St. John School faculty in 2016. She holds a BA in Art Education from James Madison University, with minors in Special Education and Art History. The art program at St. John School encourages students to embrace and develop their creativity through the use of differing mediums, processes and technologies. Through art, students develop critical thinking skills. They learn perseverance, collaboration, focus and accountability. Ms. Kruck believes in Pablo Picasso’s words, “Every child is an artist. The problem is how to remain an artist once he grows up.”, and knows that art production and art appreciation in elementary and middle school, if nurtured, will produce a more creative, compassionate and engaged adult. Mrs. Worley’s started at St. John School’s in 2017 as an aide to Mrs. Dickson’s kindergarten class and the kindergarten religion teacher. She now teaches physical education to preschool through 8th grade. She has her bachelors degree in Family and Child Development from Virginia Tech. Kelly has taught elementary CCD in the past. She is working on her catechism certification. Mrs. Worley teaches a diverse PE class based on sports, team building, and life-time fitness. Within our mission, we reinforce Christian values that will promote life-long health and physical and spiritual fitness. As a reading resource teacher, Mrs. Clawson provides direct literacy instruction for individual students, small groups, and whole classes. She collaborates with teachers in developing differentiated instructional methods and materials to aid students of all abilities. Mrs. Clawson is also the school testing coordinator. She assists teachers with analyzing Scantron Performance Series data in order to set learning objectives and plan instruction. Mrs. Gould earned a Bachelor of Science degree in Special Education from James Madison University and a M.Ed. specializing in Learning Disabilities from George Mason University. Throughout her forty years of teaching, she has taught a variety of subjects across all grade levels in diverse educational environments. Mrs. Gould provides intensive academic remediation for individuals and small groups. Each student’s program is individualized as a result of collaboration between the parents and faculty. The student’s needs are accommodated through a variety of instructional strategies and assessments in order to achieve his or her potential. Ms. Copeland is the Preschool Director and teaches a Pre-K class for 4 and 5 year olds. She holds a BFA in Sculpture from Virginia Commonwealth University, an M.S.Ed in Early Education from Old Dominion University, a State of Virginia teaching license, and an Advanced Catechist Religious Certificate. She has been part of the St. John community since 1994. Her role encompasses overseeing administrative issues, and setting curriculum goals for the learners. This center-based Preschool and Pre-K program is full of experiential learning opportunities. The academic, spiritual and physical well-being of the individual student is daily considered and supported. Specific hands-on activities in fine and gross motor development are encouraged. This whole child approach nurtures and scaffolds each student from one level of learning to the next. The love of Jesus Christ is at the heart of St. John Pre-School learning and teaching. Mrs. McCoy is a teacher at St. John Preschool. She joined the staff is 2015. Mrs. McCoy holds a BA in psychology with a minor in sociology from East Carolina University. She also holds a M.Ed. specializing in counseling and development from George Mason University. Previously, she worked as a substitute teacher in grades K-5 in Fauquier County Schools. Mrs. McCoy and her family have been members of St. John the Evangelist Church since moving to Warrenton in 2005. Mrs. Stephanie Lynch holds a Bachelor of Science degree in social sciences with an emphasis in psychology. This is her fifth year teaching at St. John Preschool & has been a parishioner at St. John the Evangelist since 2005. She has taught Kindergarten & First grade Religious Education & holds a basic Certification in catechism. Her classroom is center based & creates an environment to learn through play. Mrs. Lynch includes Catholic teachings in her daily routine. This is Mrs. Auer’s second year working with the preschool class at St. John Preschool. She has a Bachelor of Arts degree in Anthropology from Texas Tech University. She has been a resident of Virginia for 11 years and has been a member of St. John the Evangelist since 2014. Mrs. Cindy Janowitz is the Pre-K assistant to Ms. Julie Copeland in the Monkey class. She has been a Pre-K assistant at St. John Preschool since 2010. She has two grown children and has been married for 27 years.